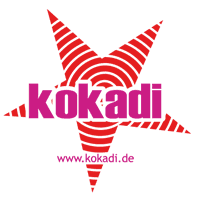 The kokadi Homme is a tribute to all babywearing fathers. With this design, we show once again that babywearing is cool and in modern times no longer indispensable for mothers and fathers. The kokadi baby wrap Oldschool Ava s Treat in the colors pink and green is liven up your stash. 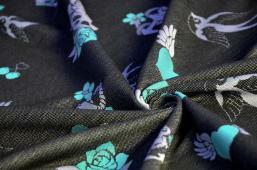 Swallows dance along the fabric, symbolizing strength and freedom. Singing beside them are many classic old school designs; anchors, skulls, hearts, and cherry fruits give this baby wrap a special character. 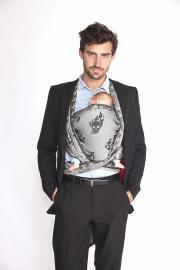 We designed this baby wrap for those who have searched the market in vain for something different. Something unique - and finally one has emerged. A textured baby wrap sized optimally for both newborns and toddlers, this is a baby wrap for cool parents and cool kids alike. Oldschool Femme will be woven in black, white, and red, and Oldschool Ocean in black, white, and turquoise. Never before has greyscale looked so vibrant. 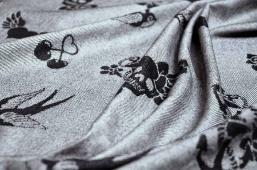 Swallows dance along the fabric, symbolizing strength and freedom. 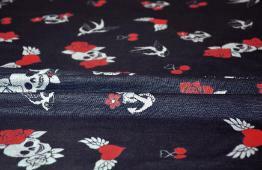 Singing beside them are many classic old school designs; anchors, skulls, hearts, and cherry fruits give this baby wrap a special character. We designed this baby wrap for those who have searched the market in vain for something different. Something unique - and finally one has emerged. A textured baby wrap sized optimally for both newborns and toddlers, this is a baby wrap for cool parents and cool kids alike.